Ken Whisenhunt was one of the top remaining head coaching candidates. 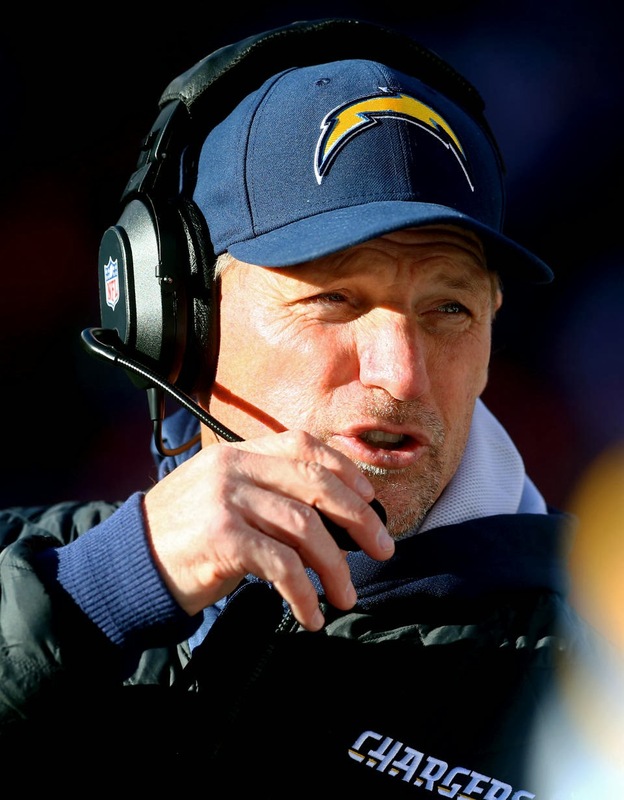 In fact, the San Diego offensive coordinator and former Arizona head coach was in such demand, he did interviews for jobs in the days leading up to his club's Divisional Playoff showdown with the Broncos on Sunday. The Chargers lost a good one in Denver yesterday, and today he is the new head coach of the Tennessee Titans as reported by Jim Wyatt of the Tennesseean and ESPN's Chris Mortensen and Adam Schefter. Is he a good fit in Nashville? Here's my take. There are two clear reasons why Whisenhunt was a desired commodity for coaching jobs. First, his prior head coaching experience in Arizona. While Whisenhunt was below .500 with the Cardinals, coming in with an overall record in 45-51, his record is skewed by having little to work with at the quarterback position in his final three seasons as well as numerous injuries at that position. In his final three seasons, Whisenhunt went 18-30. But in his first three seasons, he went 27-21 with the team's first ever appearance in a Super Bowl where they came very close to defeating the Steelers in Super Bowl XLIII and with the first back-to-back playoff appearances in franchise history, and for only the third time ever, since 1974-1975 in 2008 and 2009. Considering how the Cardinals had developed a reputation for underachievement and mediocrity in recent years, Whisenhunt's tenure has to be considering nothing less than a success. The second reason is Whisenhunt's reputation as a strong quarterback coach, going back to his days as the offensive coordinator in Pittsburgh. Then, he helped Ben Roethlisberger in his first three seasons develop into a sound game manager, at the time, to fit the team's strengths and helped the team go 15-1 his first year (losing in the AFC Championship) and winning Super Bowl XL. During his years in Arizona, he helped Kurt Warner have a rejuvenation of his career with three excellent seasons from 2007 to 2009. And this season as the Chargers' offensive coordinator, he has helped Philip Rivers, who had had a couple disappointing seasons in a row, have perhaps the finest season of his career and leading his club to the playoffs for the first time since 2009. And it's Whisenhunt's record of working with quarterbacks that makes Whisenhunt appealing for the Titans and shows why the team put on an aggressive push for him. The club drafted Jake Locker with the eighth pick in 2011 in the hopes that he would develop into their first franchise quarterback since the late Steve McNair days, but due to injuries and inconsistency from him and his surrounding cast, he remains an enigma and a question mark. There were reports that the team was not certain of whether Locker could succeed in the NFL and thus there were rumblings that the team would go after Vanderbilt product Jay Cutler, were he to become a free agent which he ultimately did not. Now by bringing in an excellent quarterback guy in Whisenhunt, now the team can finally get a read on whether Locker can be the guy and thus hopefully Whisenhunt could get the most out of him and the offense as a whole which was a disappointment during the three years under Mike Munchak. We've got yet another quality hire by an NFL club and I think that Whisenhunt will get this franchise back on the right track.